The release of Grand Theft Auto V is going to be huge. And for better or worse, this kind of launch is always accompanied by various editions, each with their own exclusive content. For GTA V, Rockstar Games is offering a special and collector’s edition, each with their own various physical goods, and now they’ve delved into the specifics of the digital content. Both the special and collector’s editions will have access to the .50 Caliber Pistol, Bullpump Shotgun, and Hammer weapons, a 20% discount at stores, an exclusive outfit for each character, a special ability boost, and five stunt plane trials. If you splurged for the collector’s edition, you also receive special options for GTA Online character customization, which allow previous anti-heroes to be chosen as parents. Additionally, you’ll have access to the CarbonRS sports bike, Hotknife hotrod, and Khamelian electric car from the get go. It may all seem a bit complicated, but it’s all explained in greater detail on Rockstar’s official site. 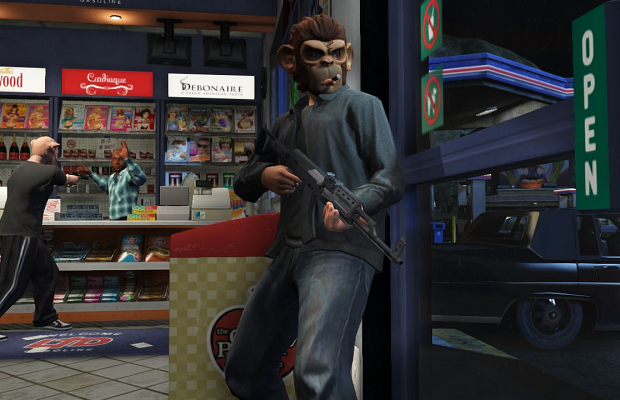 GTA V will release on the PS3 and 360 on September 17th.